Some of the earliest known inhabitants of the Pacific Northwest lived alongside a now-extinct species of “stout-legged” horse that wasn’t known to have lived in the region until now, scientists say. The revelation comes from a new study of fossils from the famous Paisley Caves in southern Oregon, where in 2008, researchers reported finding some of the earliest evidence yet of human occupation in North America, including stone tools and human feces dating back 14,300 years. The caves were also replete with the fossils of exotic Ice Age animals, like camels and mastodons. And a Harvard paleontologist, who happened to have the apropos name of Brianna McHorse, wondered: What can the caves tell us about what kind of horses lived in the West back then? So she and her colleagues analyzed some small fossil horse bones found in one of the caves and compared them with bones from other Ice Age horses found around the continent. Their aim was to see if even such small bones from below the skull — known as a postcranial bones — could be used to identify the genus or species of an extinct animal. “[This research] is really useful, because a lot of times these postcranial bones preserve really well but don’t offer that much information beyond ‘it was some kind of equid’,” said McHorse in an interview. Her team’s comparison showed that the bones found in the Oregon cave were of a small, extinct species whose fossils had never before been identified in the Northwest. Most of the horse bones found in the caves were phalanges, or toe bones, and the team’s analysis focused on two of the most complete and well preserved of them. McHorse and her colleagues took measurements of eight different features of each bone, and then compared those measurements to the same features on bones from five specimens of extinct American horses. Using a technique called discriminant analysis, the team then used this information to come up with a computer model that could predict what species the Paisley fossils belonged to. The results showed, with 99.1% probability, that the toe bones were from Equus conversidens, a species often called the “Mexican horse,” because its remains have mostly been found in Mexico, the American Southwest, and the Great Plains. 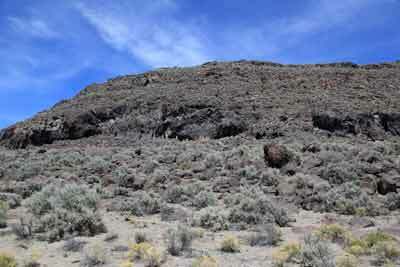 However, the appearance of such a horse in Oregon may not be all that surprising, McHorse said. Most known horse fossils are of very small bones, she explained, so it’s likely that other fossils that have been found in the Northwest also belong to E. conversidens and were just never identified. What remains unclear, however, is how many kinds of horses there actually were in Ice Age America, McHorse said. There are two main schools of thought here, she explained. 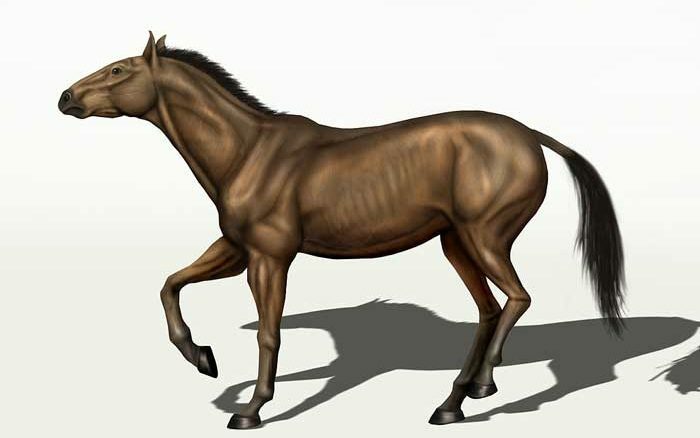 Paleontologists who have studied the morphology, or size and shape, of various horse fossils, have argued that there were possibly dozens of different horse species that inhabited the continent. 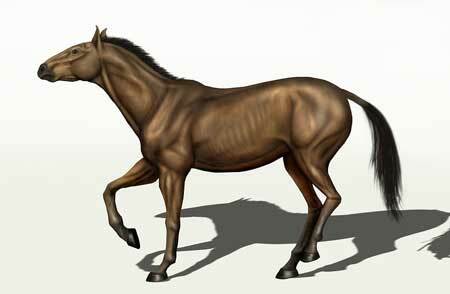 But other scientists, who have managed to extract genetic material from some of the bones, have concluded that there were only two types: a lanky, stilt-legged horse and a smaller, stockier, stout-legged horse, similar to E. conversidens. With the benefit of the approach that she and her colleagues have developed, McHorse believes that further research into more specimens may finally get to the bottom of how many horses called North America home in the Ice Age. “I think it’s pretty clear that the morphological evidence and the molecular [genetic] evidence aren’t quite adding up right now,” she said. “I think it’s great to know what species of horse was present in the area at that time, and we know it with pretty strong certainty,” McHorse said. “And to me, it’s extra cool that we were able to do it just based on toe bones. “That opens up a huge realm of possibility for studying paleoecology, as well as figuring out the Pleistocene [Ice Age] horse species question. McHorse and her colleagues report their findings in the Journal of Vertebrate Paleontology.